The Safety Zone is the recipient of The United Group’s (TUG) 2014 Supplier Gold Award in the jan/san category. 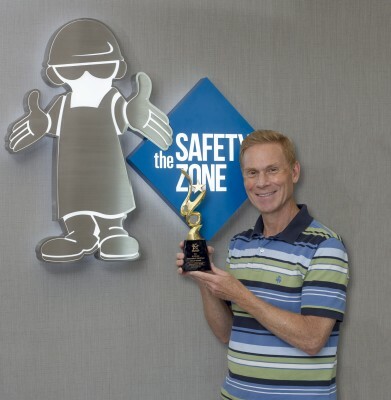 Jeff Ignatuk, who oversees the group’s business at The Safety Zone, accepted the award at a recent TUG conference. TUG selects award winners based upon several criteria, including total rebates earned by group members, the increase by percentage in those rebates over the previous year and the number of members doing business with the vendor. The Safety Zone Has Been Awarded #1 Best Nitrile Glove of 2018 by Reviewed.com, a Division of USA Today!